Heather, Auctioneer & Realtor,has been bringing people together through auctions since she received her license in 2011. As a full time auctioneer and owner of Buck Up! Enterprises, LLC, she has made it her mission to put the FUN into fundraising. She believes in, rallying contributors around a common cause. She has also been a licensed Realtor since 2014, focusing on Real Estate Auctions & Traditional Listings, Personal Property, Collections, and Fundraising Auctions & Consulting. 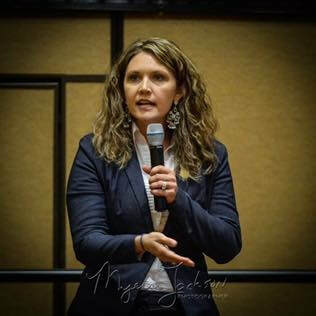 Heather serves on the Texas Auctioneers Association Board of Directors, is a member of the National Auctioneers Association, holds the Benefit Auctioneer Specialist designation, and can be seen on Texas Flip n' Move on DIY.